Lauren loves to give projects a finished look with reinforced stitches and decorative edging, so she’s great to have around for virtually every project. Lauren is great for beginners’ serger projects! 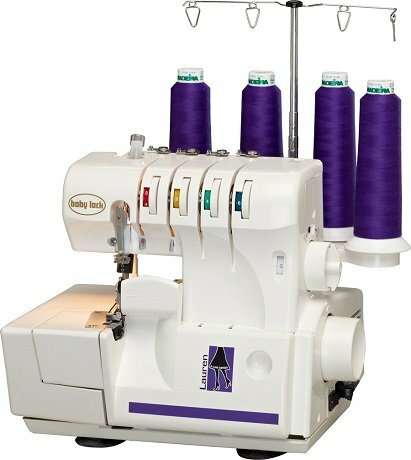 4/3/2-Thread Serging Trims, seams and overcasts 3 times faster than traditional methods of sewing. Serge with 4, 3, or 2-thread for all your serging needs. Differential Feed The differential feed mechanism has a single unit feed dog mechanism to ensure stronger feeding as well as more consistent gathering on all fabrics. Easy Color-Coded Threading Provides simplified threading and precise tension control. By following the color-coded thread system, you’ll have your serger threaded in seconds.